Our family just loves Christmas! We have a few traditions that we love and one of them is to have one family crafting night every week if possible. 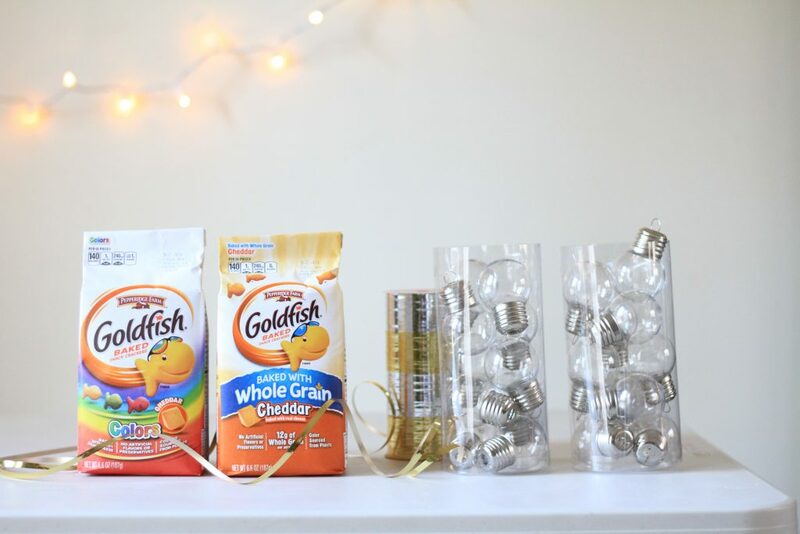 This week, our challenge was to deck the halls with Goldfish crackers. I thought it would be super fun to make a craft that you can also snack on along the way. 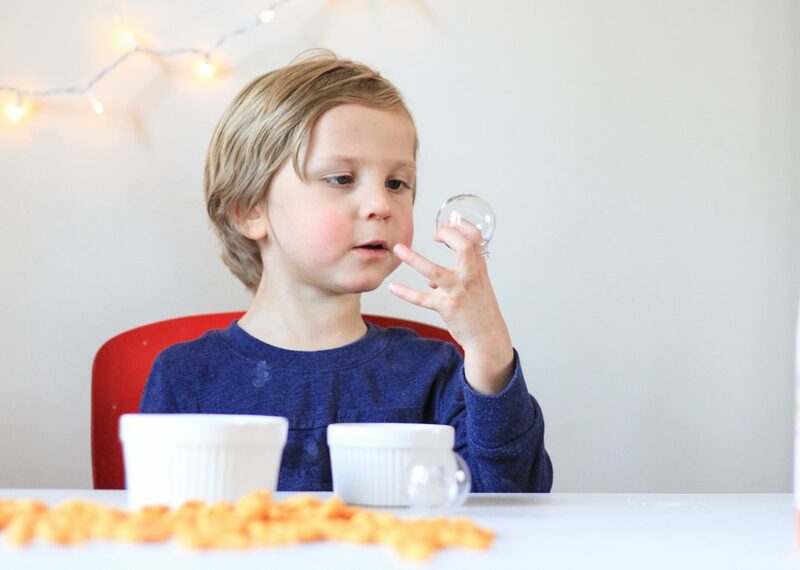 Goldfish crackers are always baked with real cheese that means no artificial flavors or preservatives and the fun colored crackers use plant-based colors which I love. 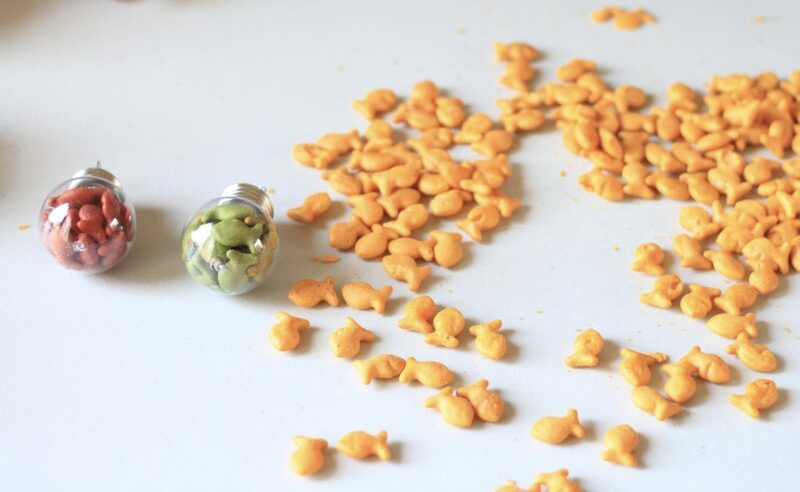 Goldfish crackers are a snack that I feel good serving my boys! To learn more about Goldfish crackers and everything they offer to make snacks fun visit this site here. 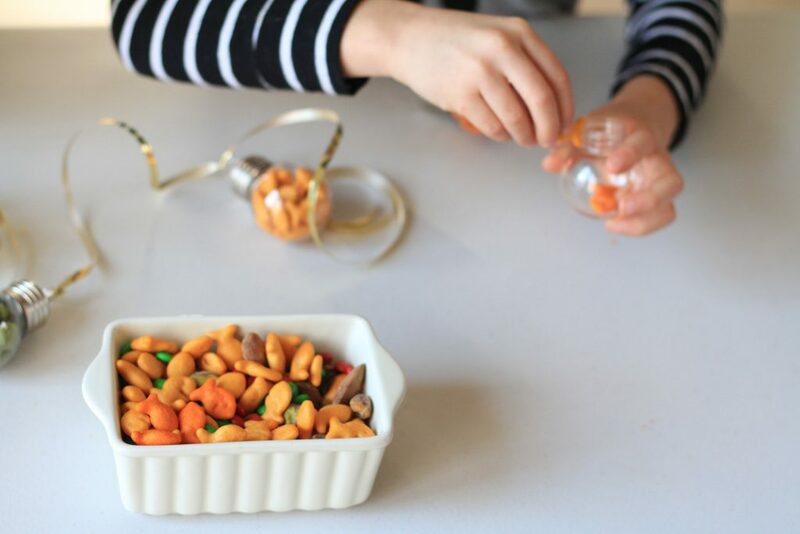 Before we started with our project, we made a delicious snack mix with our crackers, our favorite nuts, and our favorite holiday candy to add a little sweetness to our night. It’s time to start our project. First, we gathered our supplies: Goldfish crackers, clear lightbulb ornaments (or any clear plastic ornament), and holiday ribbon. You can make a few strings with different sizes to create a fuller look or stay simple like we did. The colors of the crackers bring the project to life and it makes a boring white wall look festive and beautiful. The boys then sorted the crackers by color to make things easier and after that started filling the ornaments with a single color for each ornament. I helped them put the top back on, to keep the crackers in place and to be able to hang them on the wall once we were finished. Once all the ornaments were filled they strung them on a ribbon. We decided to tie a knot on each ornament to keep them apart but you can also just let them hang loosely for a different look. And that is all! Super simple but super fun and delicious. Depending on how much wall you want to cover, you can repeat the process over and over again and maybe make their playroom or really any room, super colorful and festive. We alternated our ornaments with warm Christmas lights because we love the look of them. 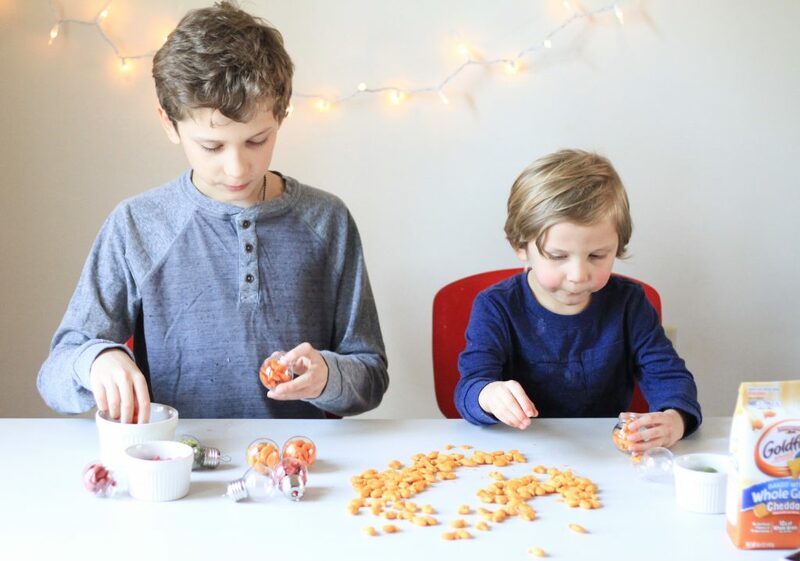 Thanks to our yummy Goldfish crackers, the boys were able to be an active part of the “deck the halls” operation here at home! They talk about it and feel very accomplished. Here is a fun video recap of our craft night. Hope you enjoy it! What a fun and great project! Ok, this is just the cutest idea! I love it! Ok so first of all, you have the cutest boys in the world. I know three girls that would make perfect wives. Just sayin….. I LOVE this idea for decor! I’m not sure Falynn would get any in there since she loves Goldfish so much she’d probably eat them all first, but it’s worth a try! Maria, t=what a cute and creative idea! My kids would love this! 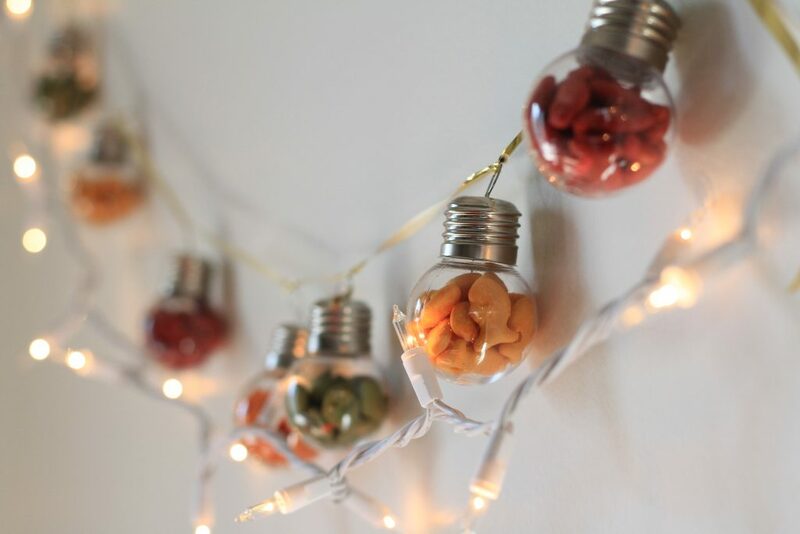 Although, we likely wouldn’t have any Goldfish make it into the bulbs because they’d eat them all first lol! What a fun crafting idea. Although, me and my girls would probably do more eating than crafting. 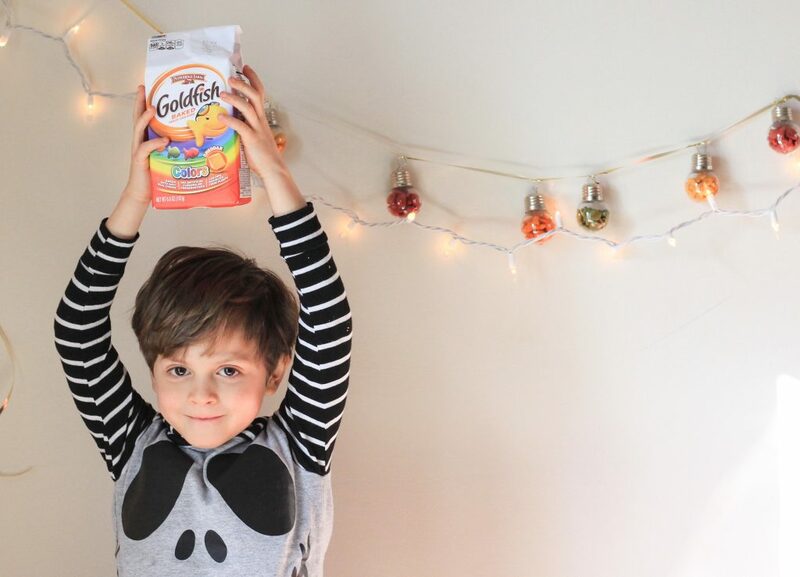 We LOVE Goldfish! 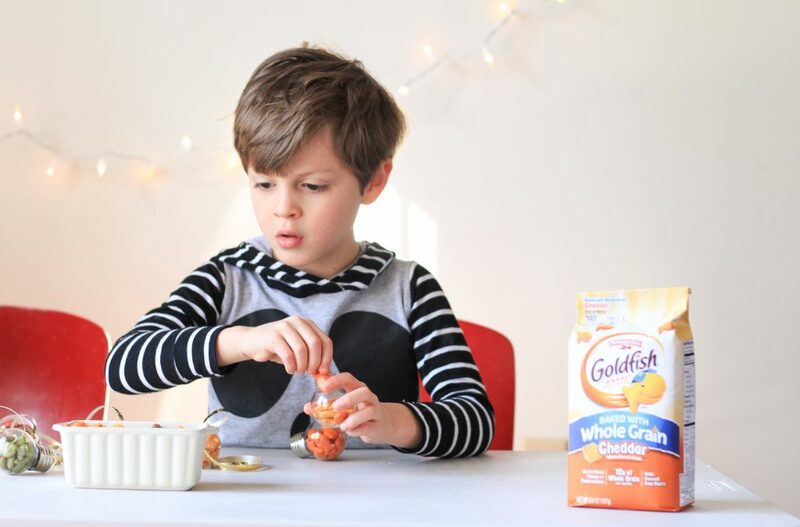 My kiddos love Goldfish. It’s their Target shopping snack. What a great idea.